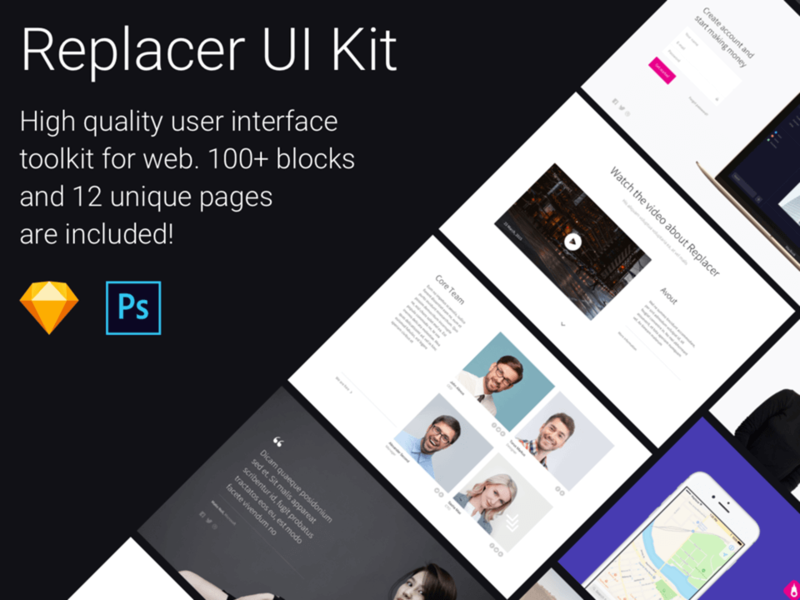 A high-quality user interface toolkit for web. Contains more than 100+ elaborate layouts and 12 Ready-to-use templates. Suitable for all kind of modern projects: Landing and Product pages, Blogs, Portfolios, Web stores, Business and Corporate websites, Marketing and advertising campaigns. Use Replacer as a starting point in your next project or choose predesigned elements to customize and shape it at your own will. Boost your workflow with Replacer. Thank for watching! We value our product and we look forward making it better, contact us if you have questions or need additional information.